Buying your Garden Plants by Mail Order. Buying plants by mail or over the internet is an adeal way to buy special or unusual plants than cannot be found locally. It is also a good solution if getting to a nursery or garden centre is difficult. But catalogues aren't always accurate so to avoid being tempted by mis-leading pictures and descriptions look up the true plant details for yourself in an illustrated gardening reference book before placing your order. Contact the supplier to check availability and the best time of year to order them. Also check the suitability of the plants for your own garden and when and how the plants will be delivered. 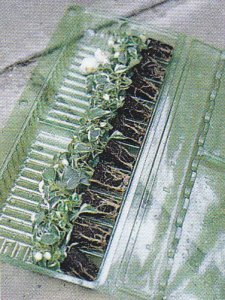 Unpack you delivery as soon as it arrives, water the plants and place them in a light spot to overcome the transportation shock. Once they have recovered plant them out as soon as possible. Reputable companies will guarantee the quality and success of their plants as long as the planting and aftercare instructions have been followed. Also ask for a guarantee for shipment damage you want to be sure the company will replace your plant or give you a prompt refund. Read the label carefully. 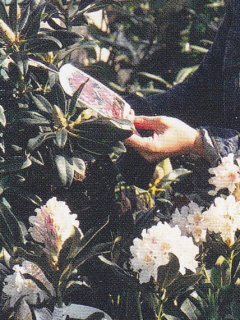 Labels contain the key information you need to achieve the best results from the plants you want, including when they will flower or produce a crop, the ideal growing conditions and a lot more.